A book critic on what she learns from the masses on Amazon and Goodreads. It’s been a while since a reporter has called to ask if I’m worried that Amazon reader reviews spell the death of my own livelihood as a critic. That used to happen all the time. Over the past 20 years that I’ve been at this job, professional book reviewers have turned out to be an endangered species, but for reasons having little to do with opinion-dispensing customers on Amazon or Goodreads. (Blame the economics of newspaper publishing!) So I’ve had few occasions of late to trot out my handful of stock quotes about the very different purposes served by professional and amateur reviews. But here’s my semi-shameful secret: I like reader reviews. I often make a point of seeking them out. When reporters used to interview me on the subject, I’d feel obliged to note that you can find reviews on Amazon and (even more commonly) on Goodreads that are as considered, thorough, and well-written as anything that used to appear in your local newspaper. But actually I don’t care much about those reviews. I already know how people like me, people who read books professionally and with a particular set of aesthetic values, respond to a text. I go to reader reviews to see how the other half reads. The great thing about the internet is that it has the potential to expose us to every kind of opinion in the world, and the awful thing is that this abundance mostly leads us to construct comfortable bubbles of self-validating input. Those bubbles resemble nothing so much as the pre-internet literary world, where “everyone” agreed on which books were important and good, and the fierceness of the debates between, say, New Criticism and Structuralism masked just how similarly the combatants thought. (Not to sound like one of them myself, but this is what Freud described as “the narcissism of small differences.”) But if you’re willing to escape your bubble, the internet can teach you the infinite variety of ways that a person can experience a book. The novel I regard as brilliant never quite wins the audience I feel it deserves, while the one I wave away as mawkishly overwritten strikes the reading public as wonderful. This happened before the internet, of course, but now, thanks to reader reviews, I stand a better chance of finding out why. Crucially, the internet has made it simply impossible for me to kid myself that there’s a widely shared agreement on what constitutes good writing or a good book. This, I realize, will be viewed as the violation of a sacred trust by some of my fellow critics, who see our role as that of knights defending the citadel of Literature from barbarian hordes waving Fifty Shades of Grey. But I can’t help it: Not only do I think the citadel can take care of itself, but I always want to know what the barbarians are so worked up about. Besides, some of them are not actually barbarians at all, just tired, overworked women who have finally found a bit of recreational reading that hits the spot. I want to know why: why people devoured The Da Vinci Code by the millions, what they saw in The Help, why they fell for Twilight over hundreds of other vampire romances. True, I seldom end up loving the best-sellers myself, but I always learn something from them. And more often than not, with the help of reader reviews, I’m able to ferret out the source of their appeal. To me it seemed like the author had a few ideas for completely unrelated stories, and because none of them were really that good on their own, he decided to combine them all and try to connect them in some way in order to reveal something about the nature of man. After reading the previous reviews I kept expecting it to get better. I kept waiting for some magical revelation that would make it all worth it. I felt as if I was trudging through piles of garbage in hopes of finding the treasure at the end. However once I got halfway through I find that there is no treasure, but I have to turn around and trudge back out of all the garbage and see if there is treasure back at the start. When I finished that I realized that there is no gold nugget hiding anywhere, just miles of trash. Chances are, if you’ve read the very popular Cloud Atlas, you don’t agree with Messerli. Still, you’ve probably felt this way about some other acclaimed book. Few professional critics could get away with such a passionately querulous outburst, not to mention that comparison to trudging through piles of garbage—it’s so over the top—and yet isn’t that exactly how reading a frustrating book feels? While I enjoyed reading Cloud Atlas myself, my heart goes out to Messerli. I’ve been there, pal. … because it is immediately recognizable. “My blood ran cold” is a hieroglyph of fear. Any attempt, such as a great writer might make, to render this fear concrete in its full particularity, is doubly a chokepear to the unliterary reader. For it offers him what he doesn’t want, and offers it only on the condition of his giving to the words a kind and degree of attention which he does not intend to give. It is like trying to sell him something he has no use for at a price he does not wish to pay. I’ve learned to accept that a good number of the books I adore are in some part simply unintelligible to many readers. Sarah Waters’ The Little Stranger, a ghost story narrated by a doctor obsessed with the local stately home and the decaying upper-class family that possesses it, is one of my recent favorites. Reader review after reader review complains that “nothing happens” in The Little Stranger, which is manifestly untrue. This dissonance, however, illustrates something important about how plots work. The lament that “nothing happens” in a novel often means that the main character or characters don’t drive the novel’s action or events; things happen, but they happen to the characters rather than being caused by them. People want to read about characters they like and identify with, which often means characters who take charge of their destinies instead of passively moping around being “whiny” (another common complaint). 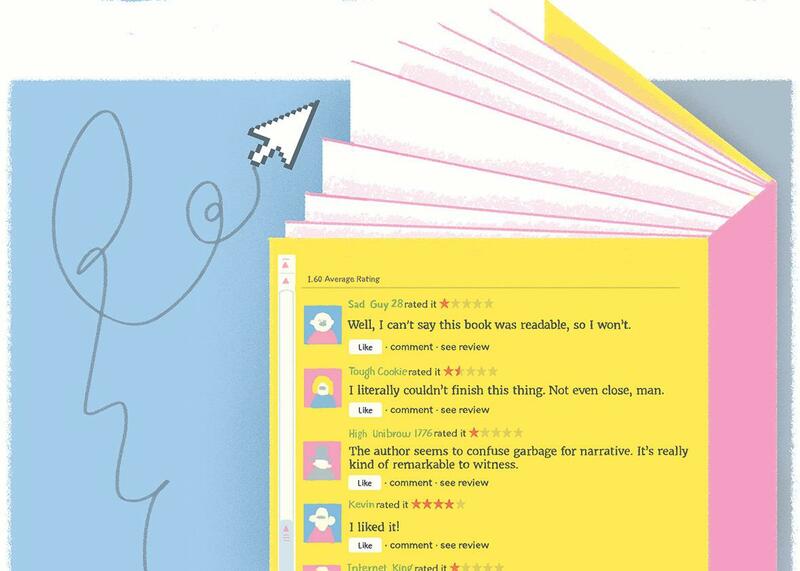 Unlikable characters take a close second place to boredom (“I just couldn’t get into it”) among the top reasons readers offer for dunning a book with one-star reviews. What literary critics seem to most prize–beautiful sentences–barely seems to count at all. Reader reviews will occasionally praise an author’s style, but so many of them describe The Da Vinci Code as “well-written” that to me the phrase has come to seem meaningless. If I were one of those citadel defenders, I’d probably consider this development dispiriting, or even enraging. Instead, I’m interpreting it as a call to Zen-like acceptance and a clarification of my vocation. It isn’t my responsibility to make as many readers as possible think and feel the right way about the right set of authors so that all will be correctly ordered in the literary pantheon. Rather, my job is to give the best possible account of how I think and feel about the books I read, and then hope that my own readers recognize a bit of common ground in what I have to say. That’s exactly what Jesse Messerli did instead of just grousing or throwing Cloud Atlas against the wall. It’s inevitable that some of them will disagree with me, and every time I come across a reader review that carps about the critics who mendaciously praised the title at hand—often a book that I have in fact touted to the skies—I confess that I wince. Reader reviewers often take critics to task for praising a “bad book” simply because all of their peers do. Often they seem to believe that critics have conspired to sell the public a bill of goods on hopelessly pretentious writers with nothing of interest to say—or at least to overinflate the work of their own impenetrable darlings. But reader reviews also offer lovely instances of serendipity, when some naïf encounters the work of a much-touted modern master with no notion of the author’s renown. a friend of mine found this book in hc for 75 cents in k-mart when i was around 13. she got it for me because i was a huge ny rangers fan & wanted to play hockey. the book turned out to have little to do with hockey, but was truly different & funny in a seinfeld kind of way. there are certain moments & phrases from it that i will never forget. i lent it to one friend who loved it as much as i did, and then another who was not impressed and eventually lost it. i have never ever seen another copy, and it appears that she never published anything else. cleo birdwell, where are you??? I sometimes think that may be the most honest rave Don DeLillo has ever gotten.